We provide first class carpet cleaning in Altrincham and Hale including the cleaning of upholstery to a high standard. We have been established since 2001 and offer a first class carpet and upholstery cleaning service in the areas of Altrincham & Hale covering the WA13 and WA14 areas. We use the latest technology regarded as the best in the carpet cleaning industry to ensure you get the very best results for your home or business in the area. Around half of our work comes from recommendations from customers who are delighted with our work. Check out our testimonials here. Our solid reputation has been built on quality of service, fair pricing, reliability and a commitment to customer satisfaction. Trained and accredited by The National Carpet Cleaners Association and fully insured for your peace of mind. We also cover the areas of Arley, Ashley, Dunham Massey, Bowdon, Hale Barnes and Rosthern. Call us for friendly free advice and quotations for the areas of both Altrincham and Hale. Our deep cleansing equipment and specialist techniques have been developed based many years in the field using only the latest technology to give you outstanding results. Our specialist products and high performance soil extraction system leave no sticky residues behind which can accelerate the re soiling process that could make your carpets or upholstery dirtier quickly. 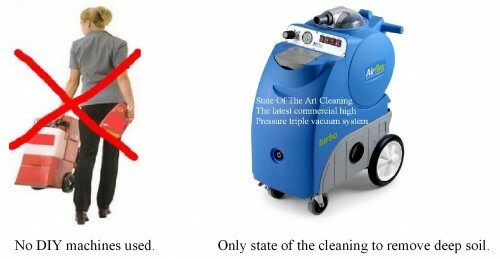 Most types of carpet stains are removed during cleaning. Any remaining stains are treated with specialist products and removed where possible. If your upholstery is looking disappointing and dull, why not have it professionally cleaned to give it a new lease of life and freshness! 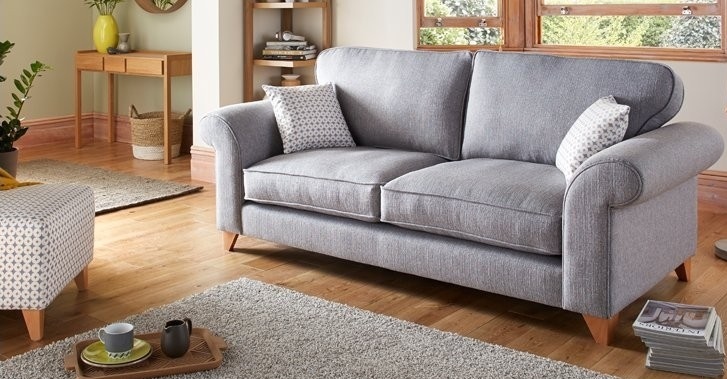 We provide the professional cleaning of many types of upholstery including corner sofa’s, three piece suites, armchairs, dining chairs, and also commercial seating areas in the Altrincham and Hale area. Additionally we also clean leather furniture. If you require leather cleaning, please refer to the link towards the bottom of the page. End of Tenancy cleaning and moving home. If your a tenant moving out of a rented property in Altrincham or Hale, you will want to ensure that the property is left in good clean condition to recover your full deposit. Many landlords and agents now require that the carpets are professionally cleaned at the end of a contract. If your moving into a new home you may want to ensure that the carpets don’t have in them what the previous owner has left behind. Discounts available for unfurnished or end of tenancy properties. Are you insured and trained? Yes. We are trained trained and accredited in by the highly regarded National Carpet Cleaners Association (NCCA). 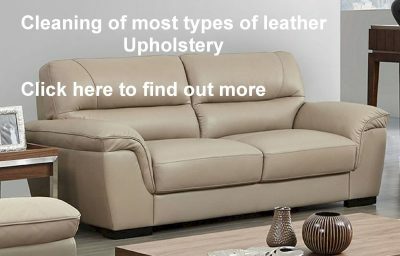 We have also been trained by LTT Leathercare in leather cleaning techniques and by Prochem UK for floor cleaning and restoration. We are comprehensively insured for accidental damage to your property, third party liability, treatment risk and loss of clients keys. We can provide a current copy of our insurance on request by email. Will I be happy with the results of your work? We have been in business since 2001 and during that time, most of our work comes from recommendations and referrals. It is our intention that you are delighted with our work and we know that our clients want the best possible results for the money they pay. Using low budget or poor quality cleaning equipment just would not achieve the high standards that our clients expect, which is why we only use and invest in the latest powerful cleaning technology to ensure first class results. See testimonials here from some of our clients and gallery of some of the results that can be achieved. Can you deal with my marks and stains? Most types of stains can be removed during the cleaning process. Any stains that are not removed during cleaning are then treated with specialist stain and spot removers. Many stains such as oil based marks, drink and food spills can usually be removed with specialist treatments to which there is no extra charge. However, the types of stains that can permanently dye the carpet fibres include tannin based spills such as coffee and tea. Additionally other most common stains which can permanently dye or irreversibly change the colour of carpet fibres include pet stains, food and drink colouring such as Lucozade, jelly and curry stains. Wool carpets being a natural fibre and absorbent in nature, are more susceptible to permanent staining due to the aforementioned spillages. However, many synthetic carpets these days are non absorbent and can be highly stain resistant and may respond very well to adverse staining. Check out the carpet stain removal guide at the top of the page. Carpets are left lightly damp and ready to walk on. Synthetic carpets can be touch dry within a few hours as the fibres are non absorbent. Wool carpet being a natural fibre is quite absorbent and will take between a few hours to overnight to thoroughly dry. It is worth bearing in mind that drying times depend on humidity, time of year and available ventilation. Do I need to removed anything from the room before you arrive? We can move most types of furniture such as suites and put them back into place. For items such as TV’s that are wired in, we would advise that you disconnect them first if you require them moving. We would advise that small items such as breakables, small items such as magazine racks and toys are removed from the room before we arrive. I am moving home; do you carry out end of tenancy cleaning or offer discounts for unfurnished property? We are experts at end of tenancy cleaning in in the areas of Altrincham and Hale. We have provided a service for clients moving home for many local estate agents, landlords and home movers for many years. Additionally you may be moving into a new home and want to ensure that the carpets do not have in them what the previous occupier has left behind. We offer substantial discounts for unfurnished properties that require carpets to be cleaned. 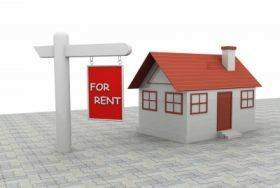 If you require more information visit the end of tenancy page here. How do I get a quotation for my carpets, upholstery or flooring? If you just have one or two rooms that need cleaning, we may be able to give you an estimate over the phone if you have your room sizes to hand. For several or more rooms, it may be more appropriate to pop in and measure you rooms and leave you with an accurate quote for your consideration. If you are living in a rented property or perhaps moving into a new home without access, there may be an online floor plan available with the estate agents to which we can quote from. We can sometimes give quotes over the phone for suites and various types of upholstery if we can ascertain the type of upholstery you have. Sometimes it may be necessary to call and inspect the type of upholstery to give you a quote. Floor cleaning, sealing and restoration. 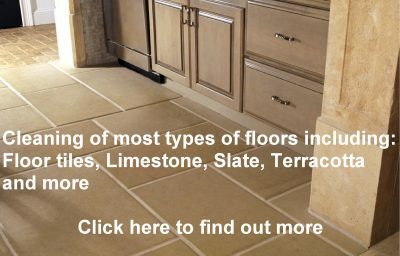 Should you have a floor that you would like a quotation for, we cannot give any estimates over the phone but we would certainly be able to call and give a free no obligation quote. Do you offer the cheapest carpet or upholstery cleaning in Altrincham and Hale? Be aware of companies that operate the deceptive practice of bait and switch. This is where a company offers a price too good to be true, only to turn up and inflate the price much more than anticipated. Click here to find out more about bait and switch carpet cleaning scams. We find that some prospective customers may call around several companies to find the cheapest quote or deal possible, without considering the results or the type of cleaning system that a low cost quote may result in. Many companies offering low cost cleaning, often cause disappointing results due to using inexperienced staff and also DIY low quality machines such as Rug Doctor hire equipment or non professional machines which can leave your carpets wet for days. It is often a misconceived idea that a cheap offer will provide the outstanding results that can be achieved with the high performance equipment costing many thousands of pounds that we provide. Therefore we do not offer the cheapest prices nor the most expensive, but you will find we offer the best value for money where you can be confident of only the best results possible! 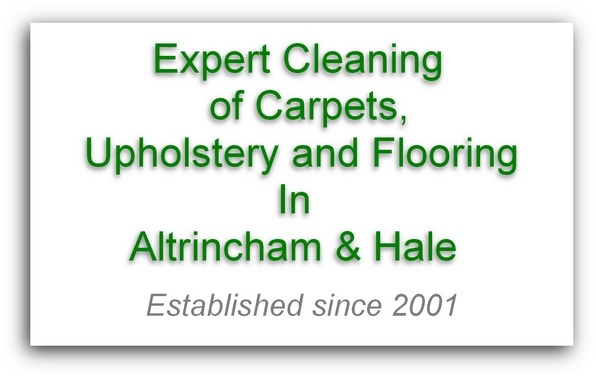 Do you carry out cleaning of commercial and industrial carpets and floors in Altrincham and Hale? Yes, we clean most types of commercial and industrial carpets and floors in the Altrincham area with outstanding results. Please go to the commercial page here for more information.